AnonD-516633, 20 Mar 2016Dear Kailash, Its good to know that you have updated official firmware. I think you got update... moreI think country is by default selected as india. If u want pls update through kdz fie. Where do you get the flashing tool to flash the kdz file? Thanks. Dear rayazmuthalif, where do u live. as the link "http://csmgdl.lgmobile.com/dn/..._00_0202.kdz" you are mentioning in ur post is not opening, giving me error "HTTP 400 bad request". and "lg-phone-firmware.com" is not an official website for firmware from lg as per my opinion. Guys, pls let me know if i'm wrong. Dear Kailash, Its good to know that you have updated official firmware. I think you got update via LG support tool only because you had got OTA update of 5.0.1 LP on your phone. 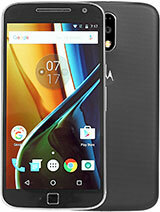 I just bought this phone 2 weeks back and was thinking that i will get the OTA. but after reading all reviews of 55 pages, I come to know that i won't get OTA :(. I had tried to update my phone via LG support tool but after selecting my country Pakistan, msg pop up that i am using latest version. Can you please tell that did u select ur country India or select it Hong Kong? May i know that when the updates of lollipop or marshmallow for lg g3 will be abailable in Pakistan? I already upgraded my LG G3 d858 HK with marshmallow , it's very smooth and fast I didn't faced any issue . Today i contacted lg and they said they have no official confirmation of mm for D856. I am now thinking to go by your method. 1) on xda you have mentioned android gear not working. Is it fixed yet or not because i do have a android watch. 3) in case there is official mm for D856 in the future how will i unroot the device and upgrade that way? Or will i be stuck to this custom rom? Kailash, 14 Mar 2016Hi Friends, Thanks alot for all post for update to Andriod 6.0 Just now i.e 14.03.16 i u... moreThe steps listed here worked with one exception...I needed to reboot my PC after installing the software. Installed the software on computer. Run the "LG Mobile Support Tool"
Plug in the phone (do not install the software from the phone if that option is listed on your screen). I was doubtful it was going to work because the LG Mobile Support tool couldn't find my phone. I wasn't patient enough. Give it 2-3 minutes. I'm not sure what's going on but there is a lot of application activity and network activity happening while the spinner icon on the top left says "Connecting...."
Eventually the phone icon displaying the text LGD858HK appears and in the main window on the right a message appears that a software upgrade is available. I clicked on Start Upgrade and the process completed without issue. 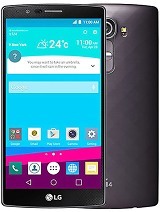 Please any body here to help me out to upgrade my lg g3 dual D858HK????? You try the same steps how you will be able to update to MM from KK. [deleted post]Yes, I am in India. Try the same steps i hope you will be able to update to MM from KK. D858 Prospect User, 14 Mar 2016Are you using D858HK?Yes, I'm using D858HK. 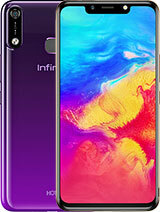 To be honest after second cycle I'm not so sure about improoved battery life. It's obvious that new features improove battery life in standby but only if you let system manage all apps. In my case there is wifi, mail client and viber that I need all time and so I can't allow system to optimize battery for theese apps. Result is almost same like KK. For 7 hours standby over night from 100% battery drops to 92% with no use at all. Just for comparing my old Xperia T3 KK was not droping at all from 100% for 10 or even more hours at standby with same setup and apps. After all MM is sure better but for me and for my type of usage of D858HK (lock screen widgets, double buttons for call and sms at dialog) I must say that KK is way better organized and I'm trying to customize MM as KK for mentioned setup or I'll just downgrade to KK. Just now i.e 14.03.16 i updated my mobile D858HK to Andriod 6.0 via LG Mobile support tool which i downloaded from LG Hong Kong site. I first downloaded usb drivers for windows from this link. than i downloaded lg mobile support tool, it shows me upgrade is available. File was 1992 MB so almost it took 20 minutes for me to downlaod. I downloaded via USB this 1992 file and than mobile took another 10 minutes and software got upgraded. Hi, When trying i am not able to select languauge, language option is blank in my case. Also can't we do normal flash? AnonD-512604, 13 Mar 2016After first battery cycle on MM this is result: http://pho.to/A4GL0Its mean in MM battry life will improve..
AnonD-512604, 13 Mar 2016After first battery cycle on MM this is result: http://pho.to/A4GL0Are you using D858HK? 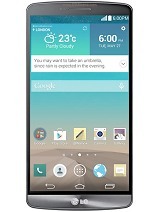 Total of 1260 user reviews and opinions for LG G3 Dual-LTE.